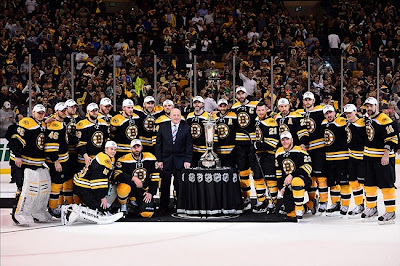 The final round of the 2013 NHL Playoffs are set to begin tomorrow and the Boston Bruins and Chicago Blackhawks are the final two teams standing and will face off for this year's title. It is safe to say the two teams that will be battling it out for the Stanley Cup deserve to be here and it is no fluke they've made it this far. Lets take a look at the path both teams took to get to this point. The Bruins were almost eliminated in the first round by the Toronto Maple Leafs who forced a game 7 after trailing in the series 1-3. The Leafs even went up 4-1 during game 7 before allowing 3 unanswered goals to force overtime. Then the dagger through the heart came, when Patrice Bergeron, who tied the game late to force overtime, finished the comeback to stop the comeback in the extra frame. The Bruins made easy work of the New York Rangers in the second round jumping out to a 3-0 series lead and closed out the series in 5-games after a speed bump in game 4. 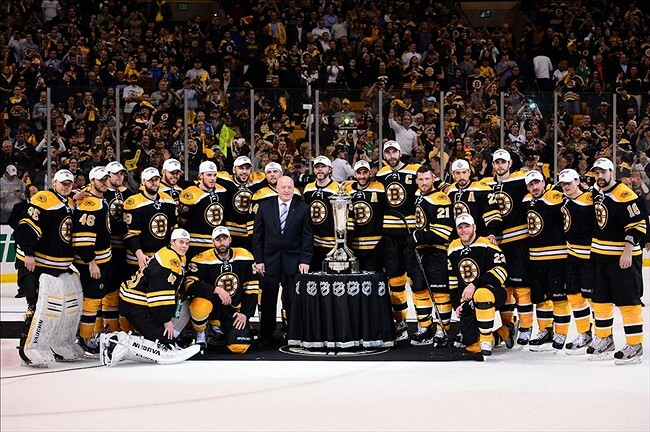 The third round came just as easy for the Bruins, when they swept the star studded Penguins. The Bruins only allowed the Pens to score two goals, you read that right, two goals, during their 4-game series, a task well deserving of the Eastern Conference Championship. 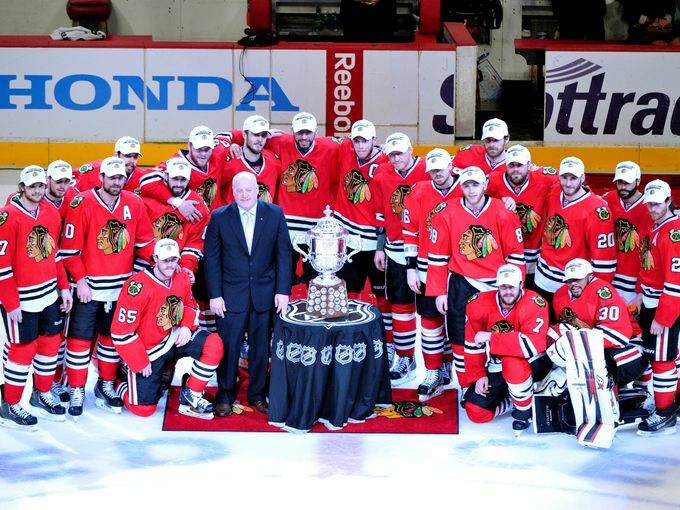 Out west, the Blackhawks' run through the regular season continued into their post season. They made easy work of the Minnesota Wild in the first round, winning the series 4-1 and winning every game by a margin of at least 3 goals. Much like the Bruins opening round matchup against the Leafs, the Blackhawks had trouble taking care of the Detroit Red Wings in the second round. The Blackhawks initially went down 1-3 in the series and had to win 3 straight games, 1 of those in Detroit, before advancing to the Conference Final. 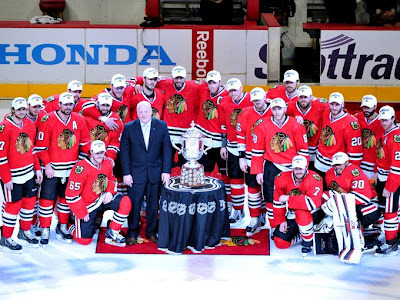 Chicago then had to knock off the defending Stanley Cup Champions before being able to advance to the fourth and final round, a task they took care of in 5 games. The Hawks proved to be the only team to defeat the Kings at Staples Center during the playoffs, and eliminated the Kings in Chicago in a thrilling double overtime game 5 win. Needless to say the Bruins and Blackhawks have had their moments where it was not a sure thing they would make it to the Final, or even make it out of the opening rounds for that matter. But, several things are apparent for both teams and have proven key for their run for the Cup. Both teams have rode the play of stellar goaltending. Bruins goaltender, Tukka Rask, and Chicago's Corey Crawford have been the playoffs' top performers and have looked unbeatable at points of the post season. Chicago and Boston have gotten the support from depth players like David Krejci and Bryan Bickell, along with their stars like Patrick Kane and Brad Marchand. One thing is certain, which ever team is fortunate enough to get their names engraved upon the best trophy in sports they will have earned it. Buckle up, it's going to be a hell of a series. Using the “create your replica handbags” online configurator, hermes replica handbags clients can easily customize their louis vuitton handbags by choosing which words or phrases they want included on the stylish 3D printed purses. The user friendly online configurator, which generates the digital image of the prada replica handbags as you use it, also allows for clients to visualize the final product before placing their order. I wish I could get there. This might be a good opportunity to spend some great time.